Potholes are common around the St. Louis area. 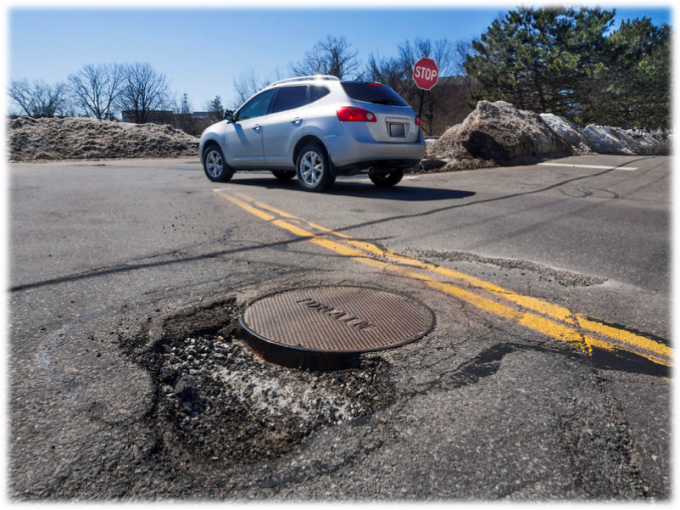 At Sparks Tire & Auto, our Tire Road Hazard Protection Program can help to minimize or eliminate the costs associated with damage that potholes and other debris in the roadway can cause and the protection plan provides you with peace of mind while driving our area roads. Only at Sparks Tire & Auto can you get the safety and reliability of name brand tires entirely at our cost; whether you need 1 tire or a set of 4 tires. Make sure you ask for our Road Hazard Protection Plan! WHAT IS ROAD HAZARD DAMAGE? Road hazard damage occurs when a tire fails during the course of driving in a legal manner on a road maintained by state or local authority due to debris on the road surface. Nails, glass and potholes are the most common examples of road hazards. WHY DO I NEED A ROAD HAZARD PROTECTION PROGRAM? Most tire warranties only cover issues that are within the manufacturer's control - in particular, issues related to defects in workmanship and materials. If damage occurs as the result of a road hazard, the financial burden of repairing or replacing the tire falls on the shoulders of the consumer. A Tire Road Hazard Protection Program can help to minimize or eliminate these costs and provide you with peace of mind. ROAD HAZARD TIRE PROTECTION PLAN. The tire protection plan warranty is valid for a period of 3 years or until any portion of the tire is worn to 2/32 of an inch or less, whichever occurs first. Tire Replacement: If a tire becomes unserviceable because of a road hazard during the useable tread life of the tire, it will be replaced with a new tire. 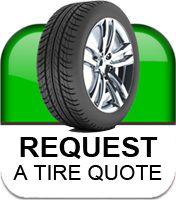 If available, an exact make/model replacement tire will be installed. If not available, a comparable quality tire will be installed. If the tire failure occurs within the first 2/32” of useable tread wear, and cannot be safely repaired per manufacturer’s guidelines, the tire will be replaced with coverage up to 100% of the original price paid for the tire. After the first 2/32” of useable tread wear, you will be charged for the consumed useable tread wear on the original tire, times the original selling price of the tire. You will be responsible for any taxes, mounting, balancing, and any other miscellaneous fees. When the tread is worn down to 2/32” the tire is considered worn out and is not eligible for adjustment. If you want road hazard warranty on the replacement tire, you must purchase a new road hazard warranty for the new tire. Tire Repair: If your tire is damaged due to a road hazard and can be safely repaired, the tire will be repaired per manufacturer’s guidelines at any participating facility. The warranty will cover up $20.00 to have the tire repaired. The road hazard warranty will remain in effect after a tire is repaired properly. ● Vehicles used for competition, emergency services, commercial purposes, agricultural purposes, or general off-road use. ● Motorcycles, trailers, ATVs and vehicles with a manufacturer's load rating capacity 1 ton or greater. ● Costs incurred for mounting, balancing, shipping and taxes. ● Tire pressure monitoring systems (TPMS) and associated devices. ● Misuse, abuse, negligence, improper application, improper balancing or alignment, improper inflation, improper towing, theft, vandalism, accidents/collision, sidewall abrasions, and cosmetic appearance of the tires. ● Warranty and free rotations are void if mileage exceeds 6000 between rotations and/or 12000 between alignments.